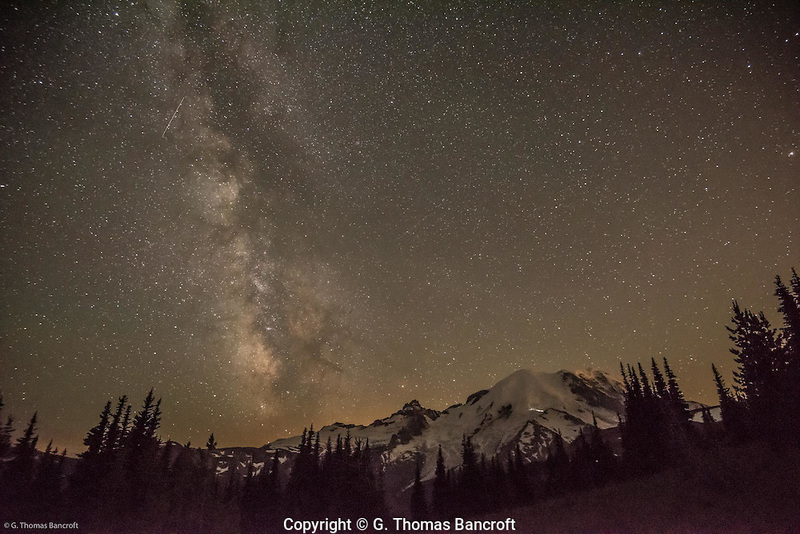 The Milky Way is just east of Mt Rainier at 11:30PM. The lights on Mt Rainier are a base camp and the climbers beginning to start their final ascent. They have a 4,000 foot climb from base camp and try to reach the summit by day break so they can start down before the warm temperatures open crevasses. A meteor glows through the east side of the Milky Way.